I remember the first time I ever ate Brussels sprouts. Having only ever seen them boiled or steamed, slimy green in color and probably taste. Maybe it doesn’t help that the only place I ever encountered these little green monstrosities was in the high school cafeteria, but I just never had any desire to pop one of them in my mouth. Fast forward to last summer. I was interning with a fledgling Chicago yoga magazine, and it was the best day of all – the day all the editors, fellow interns and I piled into a kitchen in the West Loop and cooked the vegan recipes to photograph for the magazine. One of those dishes was quite similar to this one, which comes from my mom’s friend’s son’s experience in culinary school. We roasted Brussels sprouts in herbs and glaze and all that good stuff, and when they came out of the oven, to my surprise, I actually thought they looked appetizing. 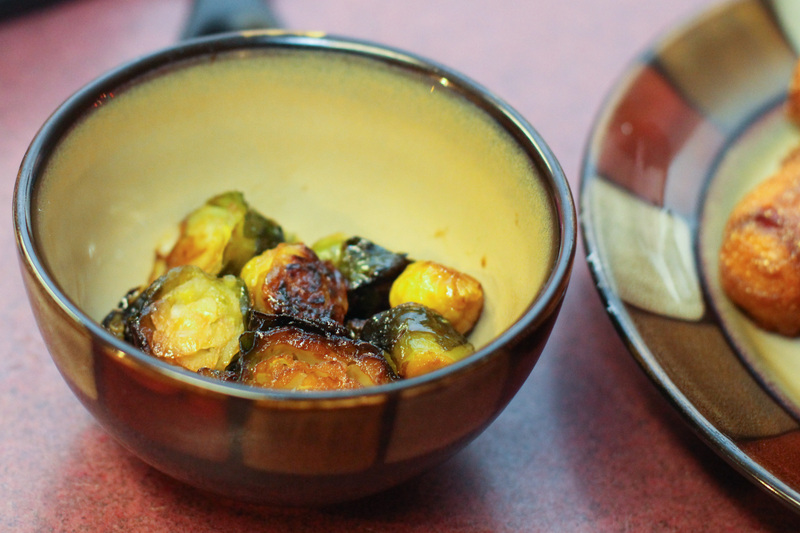 They completely opened up and got a little toasty, nutty brown, and that, combined with the minute sweetness of the glaze, made me finally accept Brussels sprouts into my life. This is still probably the only way I would ever eat them, but you can’t build Rome in a day. 1. 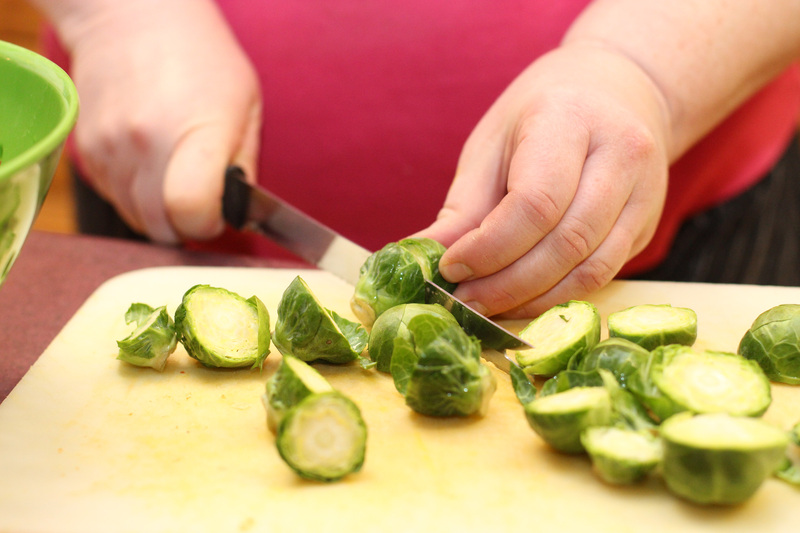 Rinse Brussels sprouts and slice in half. 2. 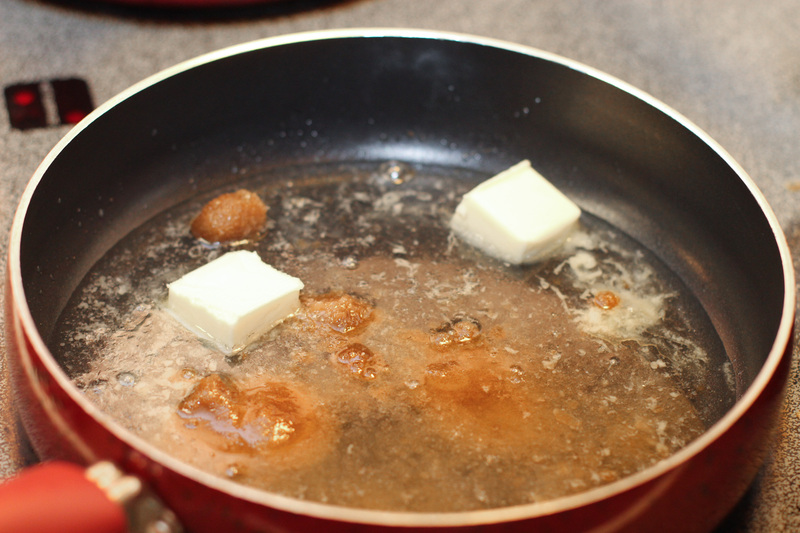 Combine butter, brown sugar and water in a shallow, wide saucepan. Heat to boiling. 3. 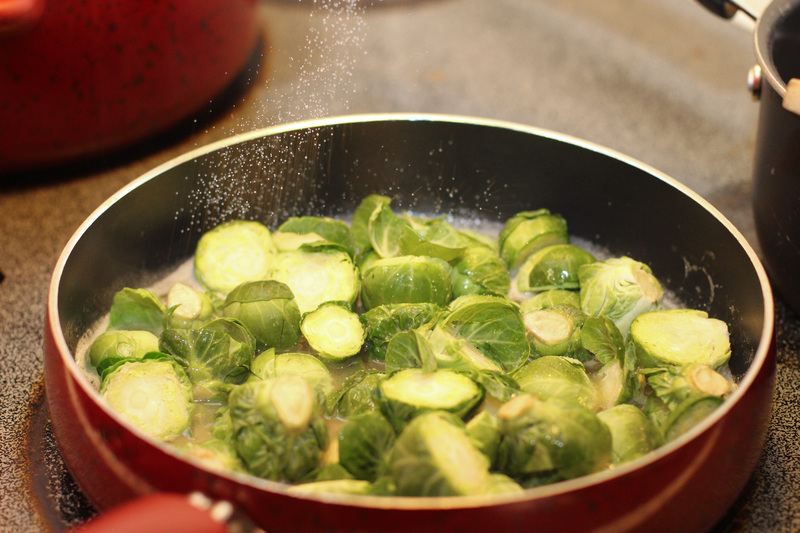 Coat sprouts in glaze and sprinkle with salt. 4. Cook covered on medium heat for 15 minutes. This entry was posted in dish, Recipes, vegetarian and tagged brown sugar, Brussels sprouts, food, glaze, recipe, recipes, roasted Brussels sprouts, sprouts. Bookmark the permalink.